Your feet have a direct impact on the rest of your body. Like the foundation of a house, your feet support the weight of everything above them. When a small problem develops in your feet, the subtle change in the way you walk will cause a chain reaction of adjustments in your posture and walking mechanics. These changes can put stress on joints higher up in your body, and can lead to more serious problems. , hammer toes, flat feet, high arch, etc.)? Do you have scoliosis, spinal, back, knee or ankle pain? Do you have pain while standing, walking or running? Have you had a prior injury to your foot/ankle, knee, back or neck? Do your shoe heels wear unevenly? 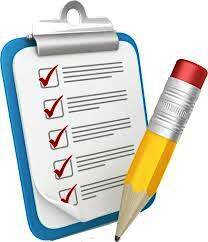 If you answered “yes” to any of these questions above, custom-made orthotics may help you. Our prescription Footmaxx™ orthotics look like insoles, but are specially designed digitized biomechanical medical appliances to be worn inside the shoe, that are custom made to correct your specific foot imbalance and modified to suit your particular needs. Properly designed foot orthotics may compensate for impaired foot function by controlling abnormal motion across the joints of the foot and/or accommodate painful areas of the foot. 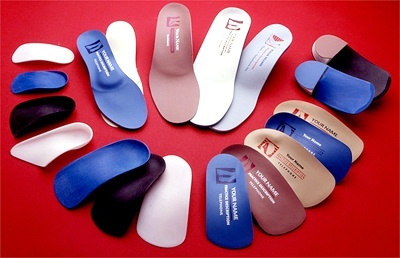 Orthotics will control the position and motion of your foot. This may prevent the development of pain and disability, and the development of additional deformity. Orthotics will not change the underlying structure of the adult foot. If they are not worn, abnormal function will immediately return. In a sense they are analogous to dentures; if you remove them you can no longer properly chew your food. The Footmaxx System offers the only means by which to assess a patient's gait and fabricate a custom orthotic device using computerized, dynamic, weight-bearing data instead of a static, non-weight bearing mold of the shape of the foot. This is key to making truly efficacious orthotics because it's not the shape of the foot that causes the problem; it's how the foot functions while bearing weight. When digitized patient scan data is received at the Footmaxx manufacturing facility, a detailed Gait Analysis and Pressure Report containing diagnostic information is generated. This report becomes part of the permanent patient file as well as supporting documentation for government and insurance claims. Truly computerized weight bearing, dynamic gait analysis leading to a prescription foot orthotic is finally here! Footmaxx prescription foot orthotics are custom crafted. No negative foot molds are required - instead, digitized gait and pressure data is sent to the lab via modem. Footmaxx semi-rigid prescription foot orthotics have revolutionized the way both clinicians and patients evaluate foot orthotics. Simply walking a patient across a Footmaxx forceplate does this. The entire gait and pressure test takes only minutes, and offers the most consistent and accurate modality for manufacturing custom orthotics. Footmaxx is a young, dynamic Canadian company offering the only truly computerized system for fabricating prescription foot orthotics. In less than two years, they have become the largest supplier of orthotics in Canada and they are proud to say that 29 of 30 Major League Baseball teams, 13 National Football League teams wear their products not to mention, various world-wide sports personalities. 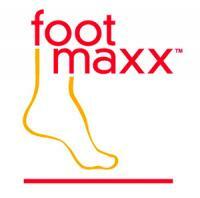 Click here for testimonial endorsement letters from satisfied athletes using Footmaxx orthotics. Footmaxx™ orthotics are made from precise digital imprints of your feet so that they can give you custom support and comfort. In special cases, vacuum-formed foot orthotics are manufactured from casts and impression foam imprints of the feet. 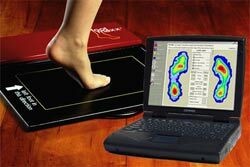 Footmaxx proprietary forceplate technology generates instantaneous on-screen and printed diagnostic gait analysis. This is one of the parameters that Footmaxx™ uses to determine orthotic module shape. 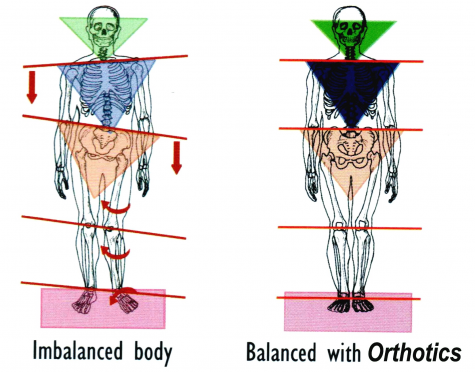 The overall aim of the orthotic therapy is to normalize the biomechanical patterns of the feet. Footmaxx™ orthotics that are dispensed by our clinic are custom made for your feet and should not be confused with over-the-counter arch supports that may help the occasional patient with minor arch discomfort, but they frequently fail because they do not properly control foot function and/or do not properly fit the patient's feet. Footmaxx™ orthotics are made in their own lab in Roanoake, Virginia and are overseen by a Podiatrist (Doctor of Podiatric Medicine). Footmaxx™ orthotics are fully guaranteed, come with a warranty and are covered through most extended health care insurance plans.